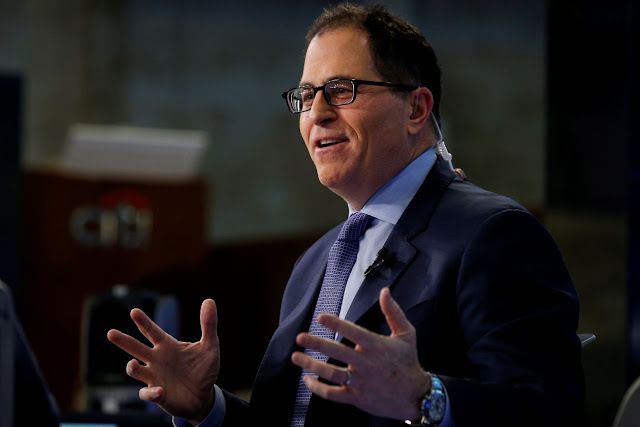 Michael Dell’s family investment firm is among the backers of helicopter-leasing business Waypoint Leasing. Waypoint Leasing Holdings Ltd., a helicopter-leasing business focused on serving offshore oil drillers and backed by Michael Dell and George Soros, filed for bankruptcy protection on Sunday and put its business on the auction block. Hooman Yazhari, Waypoint’s chief executive, said the bankruptcy is “the next step” in the company’s bid to restructure its balance sheet. Waypoint has been in talks with lenders for months and after putting itself up for sale has received bids from “numerous parties,” according to a statement. The company, which will continue operating during the chapter 11 case, says it expects to emerge from bankruptcy protection under new ownership. Based in Limerick, Ireland, Waypoint owns more than 160 aircraft, and the company’s investors include MSD Capital, Michael Dell’s family investment firm; George Soros’s Quantum Strategic Partners and private-equity firm Cartesian Capital Group, LLC. A Waypoint representative wasn’t immediately available for comment. The company rents its helicopters to businesses that ferry workers and supplies for offshore oil drillers. It listed assets and debts each of $1 billion to $10 billion in a filing with the U.S. Bankruptcy Court in New York. Waypoint was able to weather the deep downturn in oil prices that began in 2014, which saw benchmark U.S. crude prices hit a 15-year low. Oil prices eventually rebounded, but with U.S. crude again falling to around $50 a barrel, energy companies are cutting back on production, which could hurt demand for Waypoint’s helicopters. The downturn that began in 2014 forced one of Waypoint’s biggest customers, CHC Group, to file for bankruptcy protection two years later. The helicopter operator emerged from chapter 11 protection under the control of its bondholders in 2017. Mr. Yazhari, CHC’s former general counsel, replaced Waypoint founder Ed Washecka as Waypoint’s chief executive earlier this year. The company’s bankruptcy advisers include law firm Weil Gotshal & Manges LLP, investment bank Houlihan Lokey Capital, financial adviser FTI Consulting and corporate adviser Accenture LLP.